Rowan sits at 17-2 overall and first in the conference with six games to go. 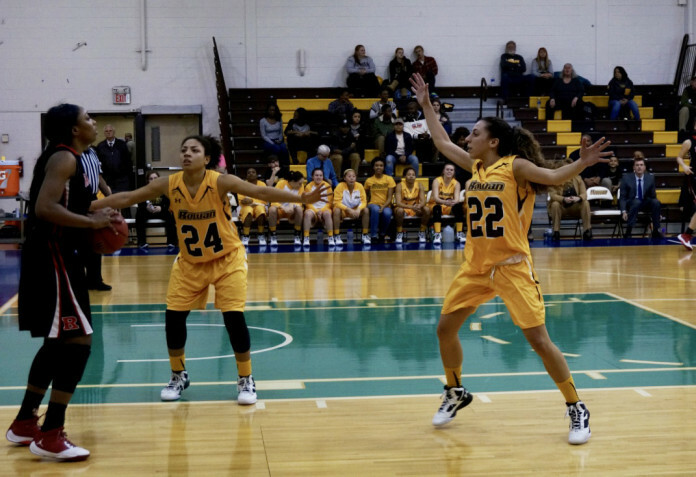 While the students of Rowan were at home enjoying their winter break, the women’s basketball team was rattling off wins at a torrid pace. After beginning the season at 6-0, the Profs went on to win five more games during the month of December before suffering their first loss of the season to Cabrini College, 77-75 in overtime. The 11-0 record out of the gate prior to the loss was the program’s best since 1999-00 (12-0). 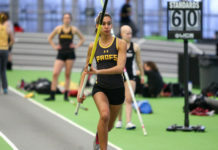 After facing Cabrini, Rowan bounced back withfour straight victories against New Jersey Athletic Conference opponents. An 85-53 blowout loss to rival Stockton University on Jan. 20 would cut the streak short. Just like earlier, the Profs were able to bounce back with an 80-55 win at Ramapo College on Monday, then an 88-75 victory over Rutgers-Camden two days later. Rowan continues to sit atop the NJAC standings with a 11-1 conference mark (17-2 overall). Despite the team’s control of first place, graduate forward Kate Matthews says that they aren’t getting complacent. A one-and-a-half-game lead over the next team in the NJAC standings, Stockton, has the Profs in a comfortable position being in line for the No. 1 seed going into the conference tournament. 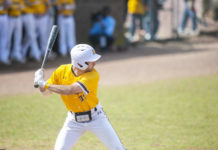 In order to stay on top of the conference, Rowan will have to avoid sputtering down the stretch, which caused the Profs to fall from 13-4 to 17-9 a season ago. Lisella turned to a familiar name to sum up how she is handling the team at this stage in the season.